It is with a heavy heart that we announce that Lois “Darlene” (Jones) Russell, 62, of Indianapolis passed away on December 2, 2018. She was born on January 12, 1956 to Alfred Jones and the late Mary Jane Jones. She was preceded in death by her husband: Joseph E. Russell. Darlene is survived by her children: Christy (Mike) Stammer, Andrew (Jessica) Russell; siblings: Alfred (Pam) Jones, Larry Jones, Sharon Combs, Vicki (David) Patterson, Donald (Sue) Jones, Robert (Linda) Jones, Melissa (Rob) Deaton; several grandchildren, great-grandchildren, nieces, nephews and a host of other family and friends. Darlene went to Arsenal Tech High School; she worked for Osco Drugs as well as Service America at Market Square Arena and Bush Stadium. Visitation will be on Thursday, December 6, 2018 from 4 P.M. until her Funeral Service at 7 P.M. at Newcomer - Indianapolis Chapel, 925 E. Hanna Ave., IN 46227. A private interment of her urn will be at a later date. Please visit www.NewcomerIndy.com to sign the guest book. 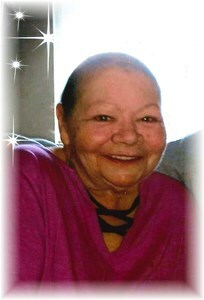 To share a memory of Darlene or leave a special message for her family, please click the "Share Memories" icon above. Add your memories to the guest book of Lois "Darlene" Russell. I'm gonna remember you for the stories and laughter you shared with me. People thought you were shy, NO WAY!! I did not know you well but I pay my deepest respect to the Russell family which I have been part of so to speak the last 15 years , my deepest sympathies go to all of you . To my closest friend Tony Russell I am so sorry for the loss . May God bless each and every one of you and may “Blondie” rest in Heaven. May she have light and peace, and consolation be with her Jones and Russell families. I and her Daughter when to school togeher and was good friends, I spent time at their house she was like a 2nd mom to me when I was there. She was a good women, a loving one too. I'm so sorry Christy and Andrew for you're loss, I hope god will help you through this time. “Blondie” I will always carry your shy smile, your sweet personality, and your loving kindness in my heart. This is a sad day for me only lighten by the hope that we will be together again. My lovely niece rest in the arms of Our Lord Jesus Christ and rejoice with loved ones that have gone on before you.